the Next Round: Tiger Claw Radio #162 - Rage Racing! 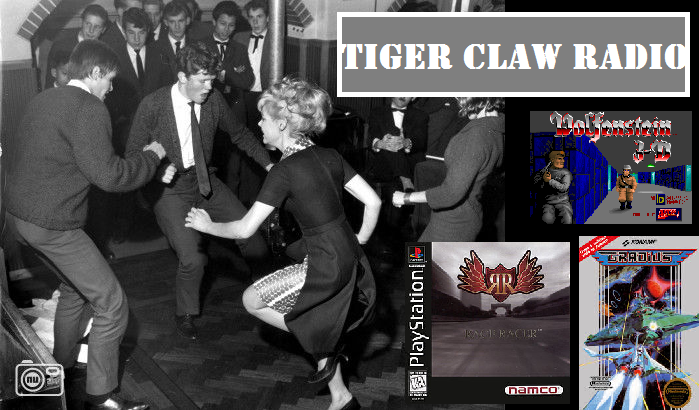 Tiger Claw Radio #162 - Rage Racing! Discussing NES High Score Battles, Wallenstein 3d and computers all while jamming to tunes from the PS1 classic, Rage Racer. Awww man, I did admit a score, too bad it was a bit late. I got 44700. Wolfenstein was always fun. Mecha Hitler was always hilarious, with his quote, "Eva aufwiedersehen" when you killed him. Good stuff. That music reminded me of 90s clubs, the little I do remember ;). I would like to recommend Altered Beast on the Sega Genesis, no cheats, just the 3 lives you got. Maybe we could do Arcade/Mame games too if we assign a strict credit limit? What do you think? Vancast yay, classic TCR! It sucked that the PC, didnt start up at first. You can view the highscore when you go into the Menu for both Pinball Fantasies/Dreams. It saves the scores permanently, so it would work very well, and I would like to recommend both for that reason. You gotta go to the menu of games and scroll down, it will switch to the highscore board for all tables. Man, I wrote also a comment for the last episode, but I guess I just was too late. Yeah we can try scheduling through email and figure out a time to game. Severely out of practice with Bubble Bobble, but still... not bad for a first attempt. Stage 50 at 803620 Points. PS: Dig that Rage Racer. I posted the highscore for Bubble Bobble, its posted on TNR. 1. How dare you ask if we are done playing Dawn Of War and then proceed to use the excuse, "I'm too busy to play.". How you gonna play CS:GO without having a no-lifer attitude? Nah, nah, I know you are busy, but c'mon, that was weak sauce. 2. Thank you for handling my man-child feelings last week. It probably had to do with my bros being a-holes when I was young, which they tended to be quite frequently during those years. Just thinking of Ken Shamrock causes my left big toe to quiver in fear thanks to Andy, the oldest. 3. Even though I didn't do that great in Bubble Bobble, I was pretty much all smiles playing that game. Looking forward to next week and contrary to my initial complaints, I'm going to play every week. Reason being is I used to have segment on Mom's Basement Podcast where I broke down why an RPG was garbage and my bitching has rekindled that passion for gab. It'll hopefully be entertaining to listen to me pine about some of the games you want to try for a weekly game. 4. Super nerd alert: My blogger name is Roy Kingston for ultra mega blowhardy-ness. It means King, Son of King. It was either that or TotallyNotATroll when I made this account....now I'm done.